Nordis Technologies has promoted Suzzi Morrison from Vice President of Technology to Chief Technology Officer of the innovative customer communication management and payments solutions company. In her role, Morrison leads the software development and information technology teams, a critical role as the company prepares to roll out an enhanced version of its industry-leading, cloud-based Expresso CCM platform in 2019. Since joining Nordis Technologies in 2015, Morrison led the integration of ExpressoPay, the company’s electronic bill presentment and payment system, into Expresso. She also has built out Expresso’s omnichannel capabilities, adding mobile options including enhanced email, texting and mobile wallet solutions. Under her leadership, the company developed ExpressoCertifed, which automates the laborious manual process of preparing, sending and tracking USPS Certified Mail packages. Before joining Nordis, Morrison ran a successful IT consulting company for more than 20 years. She has a wealth of experience in corporate automation planning, project management, strategic and disaster-recovery planning, system and software design, software-implementation, operations and process review. Her clients included Hilton Grand Vacations, Marriott Vacations Worldwide, Disney Vacation Club, Four Seasons Hotels and Resorts, and Wyndham Resorts. Before starting her business, Morrison worked for RCC, a leading hospitality software provider, as well as Hilton Grand Vacations. Morrison studied Information Technology at the University of Phoenix. 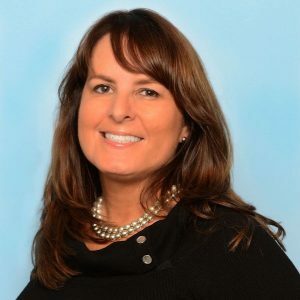 She chairs the American Resort Development Association Technology Committee and holds an invited seat as the technology lead on the ARDA Meetings Committee. Nordis Technologies is a leader and innovator in providing technology solutions to solve customer communications management and payment challenges. With Nordis’ patent-pending, cloud-based Expresso application and product suite, including ExpressoPay, businesses can quickly and efficiently create and manage critical print and digital communications and payments. Nordis delivers an end-to-end solution, with state-of-the-art lettershop and direct mail services to produce and deliver documents. Privately held Nordis Technologies is based in Coral Springs, Florida. For more information, visit nordistechnologies.com.